Aston Martin has started its production of the new 5.2-liter twin-turbo V-12, aimed to function the DB11 sports car. The engine is made in Cologne, Germany, brings 600 hp and 516 lb-ft of torque. It shall permit the DB11 to gain a leading speed of 200 mph and a 0-62 mph of 3.9 seconds, as per the company’s expectations. An eight-speed automatic transmission has been mated to this engine. 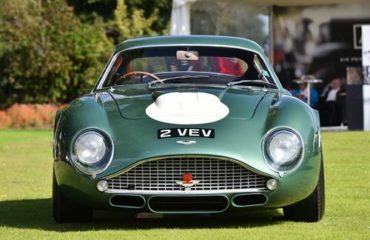 The Aston Martin Engine Plant in Cologne has manufactured an estimated of 40,000 V-12 engines from the year of 2004, when it was opened. Along with the latest engine, the facility would like to manufacture 6.0-liter V-12 engines and 4.7-liter V-8s for Aston Martin models. Aston Martin DB11 will replace the DB9 and goes on sale later on this year. US prices will start at $211,995 (almost $212,000).